No, I’m not going to lie to you. 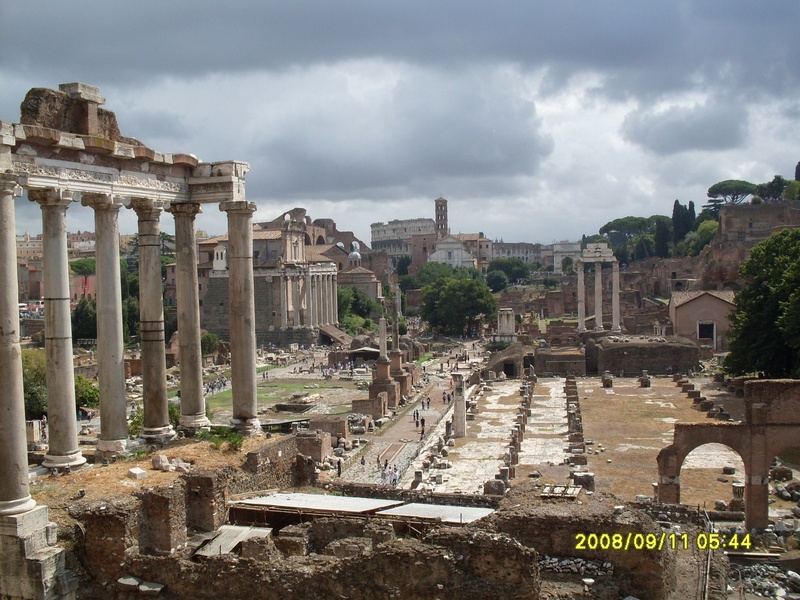 Visiting the Roman Forum can be educational, gratifying, tedious, exhausting and historically exhilarating. That being said, it is also the most confusing place that I have ever visited. Imagine a 10,000 piece jigsaw puzzle of Emperor Caesar’s Forum. Then imagine this jigsaw puzzle with all the outside edges completed. Now you’ve got a big empty rectangle in front of you. Place the extra puzzle pieces in a pile in the middle of the puzzle. Then get three more different puzzles: Emperor Augustus’s, Trajan’s, and Constantine’s Forums. Open the boxes and place those pieces haphazardly into piles around the puzzle as well. That’s about as close as I can come to describing what it’s like to observe the forum from both the inside and the outside. Everywhere you look there are rocks and rubble, and very old crumbly buildings. Pieces, pieces, and more pieces…. You see, the different emperors came from different ages, and their different structures were built during different centuries. So, if you are trying to imagine what the forum looked like during Caesar’s reign, it would most certainly look different than it did in Emperor Claudius or Nero’s reign. If you’re confused now trying to imagine this scenario, imagine what it’s like to observe in real time. It’s enough to almost drive you mad.